can you imagine the three of us meeting this side of heaven? I mean seriously, we mean business when it comes to Jesus. God has a sense of one ya know? Ok the brain took a detour. and I didn't even know that Rebecca was a Thanksgiving Scrooge. 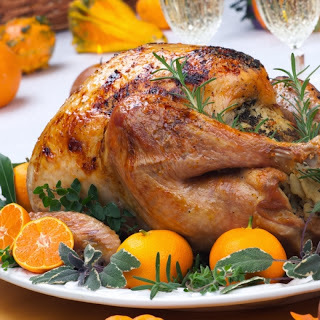 Thanksgiving meal if you are vegetarian or vegan. But I believe new, healthier traditions can be made. 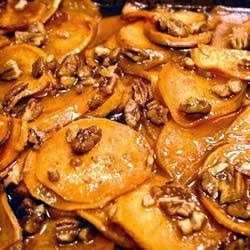 Sweet potatoes & apples get baked with a drizzle of honey & a sprinkling of cinnamon, then pureed to a creamy consistency. I mean seriously look at these yummies!! I am hoping to get this made and tried this weekend. 1. Heat oil in Dutch oven over medium heat. Add onions & thyme, season with salt (if desired) & reduce heat to medium low. Cook 30 minutes or until deep brown, stirring occasionally. 2. Stir in 2 cups water & increase heat to medium. Simmer 10 minutes. 3. Pour onion mixture over bread cubes in bowl & stir until liquid is absorbed. 4. Preheat over to 350 - Coat 11x7 baking dish with cooking spray. Spread stuffing in preparing baking dish, & bake 30-45 minutes, or until crisp & brown on top. Cool 5 minutes before serving. 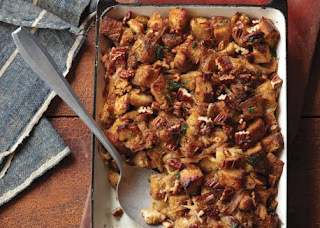 I am kind of a stuffing snob. for the first up-teenth years of my life. Yep, I'm cool like that. It was gummy and pasty and I wanted Stove Top back. and out went the Stove Top as it takes a bath in the stuff. So I set about making my own. I decided I'd try Cornbread Stuffing. brought this into my life. Do you see in the pic? Can't wait to try this bit of loveliness. Now let's talk all things turkey for a minute. My family are carnivores at their finest. I started eating a little organic meat again. but I really do not enjoy Thanksgiving turkey that much. I'm not sure what it is about it. eh.....take it or leave it really. but I can cook a mean turkey. Turkeys are a lot of easy work. and slap that whole business in the oven. because dry turkeys are YUCK!! If you have a big enough fridge for such business. So take a look at this beaut. Turkey all basted up nice like in orange juice. but my boys would never go for it. Will chat more about that later. She could just use 'em. So get to shopping and planning!! I have a lot to do before then as well. I love y'all. I SO WISH we could all sit down and chat. Just not at a steakhouse, I guess.